Click the button → Settings. Click the Show advanced settings link at the bottom of the page. Click the Content settings button in the Privacy block. Click Done to save changes. Click the menu button and choose the Internet Options item. Go to the Security tab and select the zone Internet. Then click Custom level. 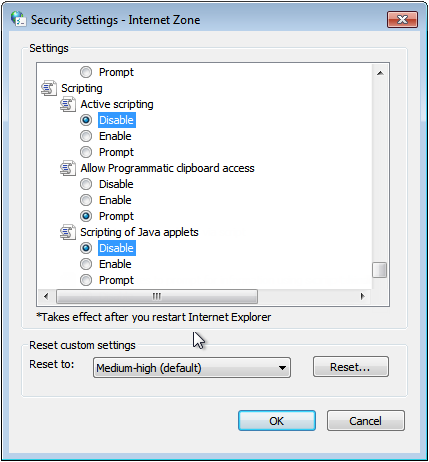 To save changes click OK in the Security Settings - Internet Zone window. Then click Apply in the Internet Properties window. 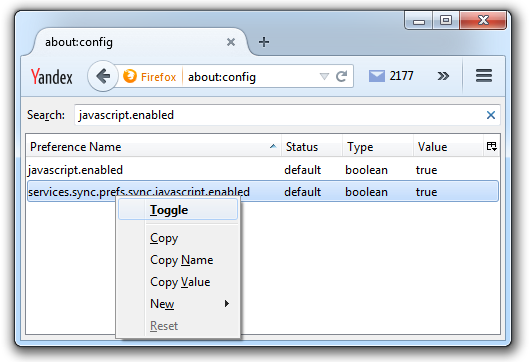 Enter the command about:config in the browser's address bar. In the window that appears, click I'll be careful, I promise!. Highlight the line with the value “default” using your left mouse button and then click Toggle. 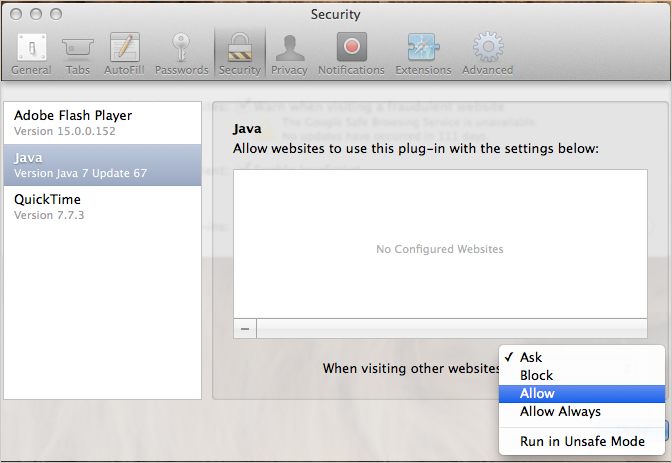 Hold and click Alt + P.
In the Safari menu click Preferences → Security. Enable the Allow Plug-ins option and click Manage Website Settings. 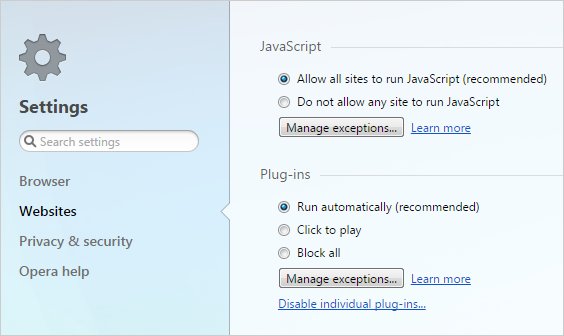 Click the Java element in the list of plugins. 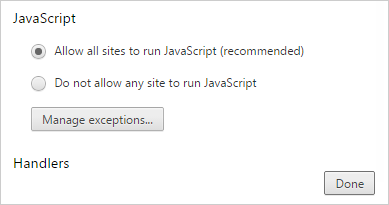 In the When visiting other websites list that appears, select the appropriate option (Allow or Allow Always).